Ligue One’s marquee signing this January, Mario Balotelli, has not been registered in time for Olympique Marseille’s clash with Lille Metropole at Stade Velodrome. Marseille boss Rudi Garcia has snapped up Balotelli from Nice on a free transfer with hope the winner of league titles in Italy and England can jump start France’s only European champions’ topsy turvy season. Marseille begun this campaign as one of just two sides capable of challenging Paris Saint Germain’s hegemony but their season has petered out due to the indifferent goal scoring form of strikers Kostas Mitroglou and Valerie Germain, as well playmaker Dmitri Payet. Only winger Florian Thauvin is delivering according to expectations. Balotelli’s questionable temperament means he has long been regarded as the enfant terrible of European football. But you can’t question his numbers. His record of forty two goals in sixty five appearances for Nice was too good to ignore for the Marseille hierarchy keen to see their side challenge Lille for automatic Champions League qualification. Junior when they defend their long unbeaten run at home to Rennes on Sunday. 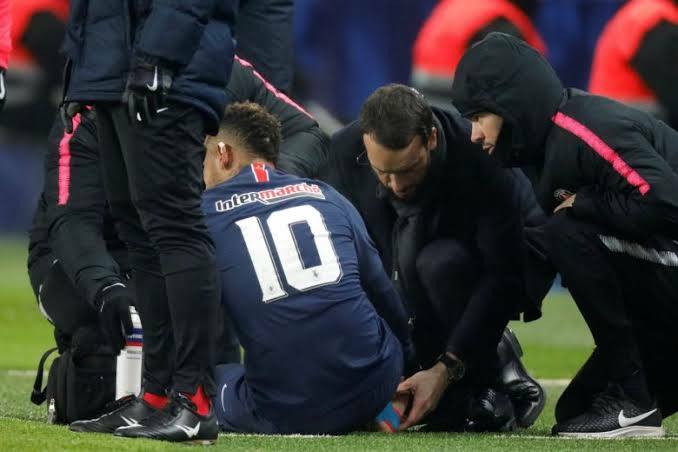 The Brazilian star was rushed to hospital after a heavy challenge during the Parisians’ 2-0 French Cup victory over Strasbourg on Wednesday. Rennes Hatem Ben Arfa is a man to watch because of the ignominious manner of his exit from PSG. In Dijon, under pressure France legend Thierry Henry will be keen to earn his stripes when Monaco battle the hosts in a relegation six pointer. Henry has failed to ignite Monaco’s season after taking over from 2017 title winning manager Leonardo Jardim. Last weekend, the principality club’s wretched season reached a new nadir with a 1-5 defeat at home to Strasbourg. Nantes game at home to Saint Etienne has been postponed until further notice following the tragic disappearance of a plane carrying their Argentine striker Emiliano Sala. Nantes club top scorer had just completed a £15m move to Welsh side Cardiff City when a plane carrying him from Nantes went missing near the Channel Islands.